I like to kick off any event strategy engagement with a strategy workshop. The goal is to use the information gleaned from the workshop to develop a well-informed, clear and comprehensive Strategy Brief that could be used to onboard new project resources. But our internal resources are not the only ones who benefitted from this effort. Each time I have completed a strategy workshop, I would hear from our client stakeholders about how incredibly beneficial the sessions were to them, too. It's probably no big surprise to learn that many organizations are not kicking off their event tactics with a workshop that aligns all internal stakeholders around the event goals, KPIs, or even audience targets. The harried nature of events means that teams are typically working against the clock just to deliver on the same tactics from the previous years' events. But if you're never stopping to define the goals and KPIs, how do you know if your event is successful? How do you know which tactics to optimize and which to discard? How do you know if it's time to try something new? The strategy workshop is the first step in ensuring that you can answer these questions. I can't tell you how many times I heard clients remark about the strategy workshop with statements like, "It was so good to get all of the disciplines in the same room at the same time...it really helped to solidify why we're doing this event." I've had CMOs and even CEOs who were only planning to pop in long enough to share the company vision or product roadmap end up staying for the entire workshop (often an all-day affair), because the conversations that arose were ones that were sorely needed, but for which there had previously been no forum or facilitation. So, what goes into a strategy workshop? Identify the right stakeholders to attend the workshop and what role they will take on. Develop and distribute pre-work that will help to prepare the attendees for participation, including specifying what sort of historical data and input they should plan to share during the workshop. Determine the agenda, timing and logistics for the workshop. Will a half-day workshop be sufficient? Or is a full day needed? Are there any attendees who will need to join remotely? Are there time zone differences to consider? Who will supply meals, refreshments and supplies for the workshop? Who will send the pre-work, invite and updates to invitees? Develop the workshop content, flow and exercises needed to gather all the necessary input. What is the primary reason your target audience would choose your event over another event? What tactics have been most successful in driving attendance in the past? How will this event be different from previous events? If you're an outside resource, prepare yourself by learning about the company, its products and competitors so you can speak intelligently during the workshop. Even with careful and thoughtful planning, facilitating a workshop can be challenging. Typically, you are working with a range of positions that come with various hierarchical and organizational politics. Additionally, the nature of producing a live event means it's very helpful to have a good grasp of many professional disciplines ranging from product marketing to audience acquisition to keynote production to social promotion, and more. Without this experience and understanding, it will be much more difficult to effectively facilitate a workshop. Stand up—If you want to be seen as the leader of the workshop, you must command respect from the beginning, so stand tall. Set the stage—Explain why this workshop is important, what the goals are and what the output will be (e.g., Strategy Brief). Inject some fun—Smile and bring a little magic. You're asking people to give up their precious time so reward them with a fun ice breaker, a few well-timed, audience-appropriate jokes, and engaging exercises. Document and demonstrate—Use whiteboards, flip charts, post-it notes, etc. to capture input from the group. Read the room and react—Look for verbal and visual cues (body language) to know when to dive deeper into a subject and when to move on. Recap and reiterate—Before closing the workshop, recap the main ideas to ensure you've correctly captured the input. 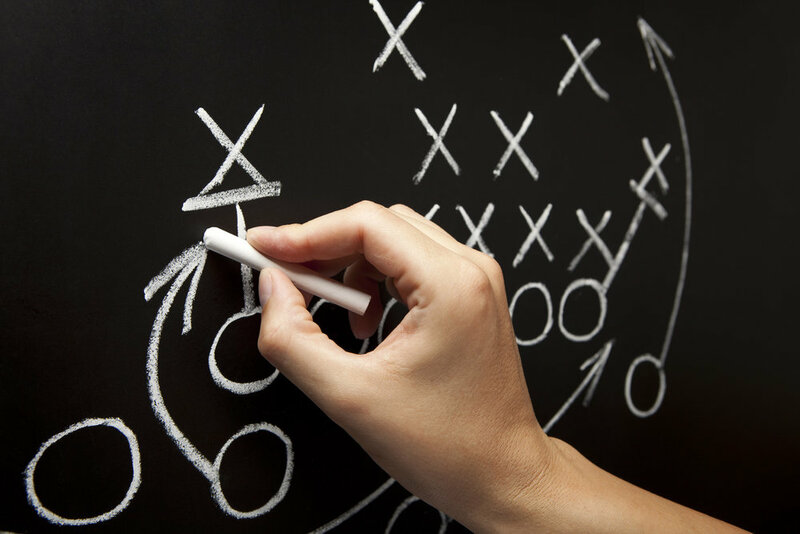 Convey next steps and timing for when the group can expect to see the Strategy Brief. Thank everyone for their time—The input you received in the workshop is invaluable to the success of the project so be sure to properly thank the participants. Although the Strategy Brief can take time to develop, there is seldom ever any surprises for the client (whether internal or external) within it since it is a reflection of their input. Gaining this alignment up front not only streamlines the strategy development, it makes it much easier to stay on schedule, so the effort is well spent. Additional documents that often roll out from the strategy workshop include personas, messaging matrix, website and mobile app content, and keynote content or scripts. A recent survey found that more than one in three CMOs expects to set aside 21 to 50 percent of their budgets for brand experiences, including conferences, trade shows, sponsorships, exhibits, and virtual or augmented reality experience. For many organizations, those budgets can top tens, even hundreds, of millions of dollars. With that kind of money, it seems almost criminal not to get your internal resources aligned around event goals and metrics before executing, and a strategy workshop is just the way to do that. Ready for a strategy workshop? If you're ready to inject a bit more purpose and planning into your event strategy, I'm ready to help!